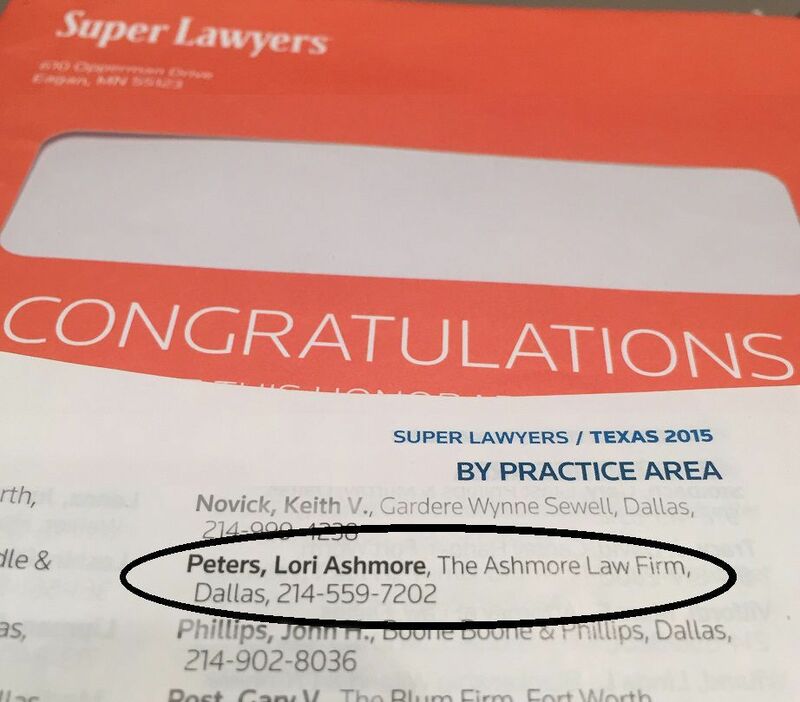 Lori Ashmore Peters Named Super Lawyer 4th Year in a Row | The Ashmore Law Firm, P.C. We are proud to announce that our Managing Attorney, Lori Ashmore Peters has been named a Super Lawyer for the fourth year in a row. She specializes in Estate Planning, Business Planning, Probate, Ancillary Probate, Guardianships and Mental Health Law. She also dedicates a portion of her practice to working with mentally ill individuals. Super Lawyers is a directory of outstanding attorneys who exhibit excellence in the practice of law. Lori exhibits excellence in everything she does and we offer a big congratulations!